The King of Belize Brukdown Music , Mr. Wilfred Peters passed away in Belize City on June 9th at age 79 after a brief illness. 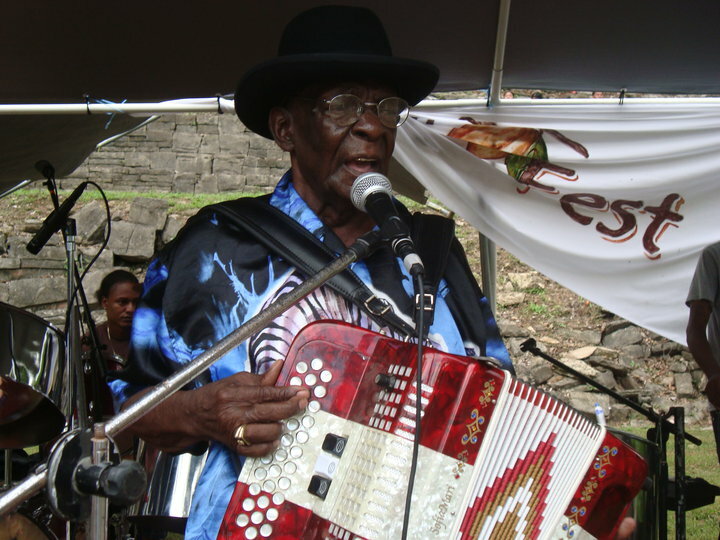 A Belizean national icon Mr. Peters was one of the country’s best loved musicians. After over 60 years of playing, he defined Belizean Creole culture through his distinctive Brukdown music style. Brukdown music reflects the journey of the African slave into the mahogany camps of Belize. The music genre born in the 17th century uses syncopated rhythms and call and response patterns firmly rooted in Africa, harmonies borrowed from Europe and lyrical themes colored with the Belizean Creole language and experience. Brukdown became the music of the people, whether urban or rural. One of the few remaining Brukdown accordion masters in modern Belize, Mr. Peters learned to play the instrument from his father on the family farm in his home town of Gracie Rock Village near the Sibun River in Belize, where music was the main form of entertainment in his household and when farmers and mahogany loggers gathered. “We had no radios or cassettes then, only what we could play … and with some white rum and water, people would dance through the night,” Mr. Peters said in an interview. Performing with accordion and guitar since the age of seven, his reputation grew, and by his early teens he found himself in demand throughout Belize. His popularity never waned, and he and his band continue to be a steady fixture at dances, holiday celebrations and events around Belize. Mr. Peters toured major music festivals in Mexico, France, Spain, the Caribbean and North America. 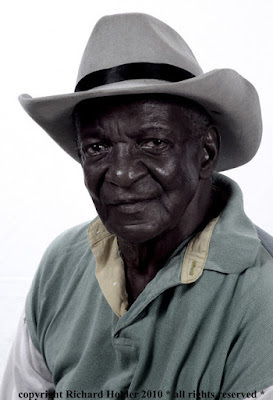 As a tireless bandleader, Mr. Peters had over the years refined the Boom & Chime Band into what is undoubtedly the most recognizable and dynamic representation of Belizean Creole culture. In 1997 Queen Elizabeth II awarded him with an MBE for his outstanding work and cultural contributions. Via:http://belizean.com/ M.A. Romero is a Belize based writer and photojournalist and Managing Director of Belize.com Ltd. The company's main web site is at www.belize.com. Now that Mr. Peters is dead, all kind of words being used to describe him; king of brukdown, Belizean icon and all this. But which one of you guys was there to help him when in his elderly years, he spent hours in front of Brodies down town Belize City standing all day trying to sell his cds so he could eat. Anonymous, you are right to some extent. It is not entirely true that he was not noticed by our community, he was honored in 2006 with the Lord Rhaburn Music Award as a cultural icon. Mr. Peters will forever be synonymous with "Brukdown Music". Many of us did not know Mr. Peters was suffering financially, but he kept on performing and that alone shows a deep sense of character; to Mr. Peters there was little in life that was more valuable than his music, traits we as content creators would be wise to develop in ourselves. Despite all his financial hardship, it did not affect the quality of his music. Mr. Peters' music will continue to shine and sparkle in the lives of many Belizeans and friends abroad. My only wish is for us to pay more attention to what we have as Belizeans, but as usual, we always have a lot to say after the fact. Thanks for your comment, it’s very much appreciated. We very much appreciated the story behind someone that most of us grew up listening to his music. His music has always gave us the inspirations to continue loving our country and remembering our Home Sweet Home. His music is always being played at our Belizean picnics and other functions here in Florida because we love his music. May he Rest in Peace. To the anonymous person that left the comment about belizeans neglecting Mr.Peters, this is what happens in life sometimes even in our own families. I am so sorry that he had to go through such a hard time but this is where we should help to bring awareness to the problem. It takes one person to help another person.